Reading your bird's body language is one of the most important skills you can learn to help you build a relationship with your parrot based on trust. Pair this with your positive reinforcement training strategies and you can look forward to a happy and harmonious life with your companion parrot. Body language is how a parrot communicates to us. 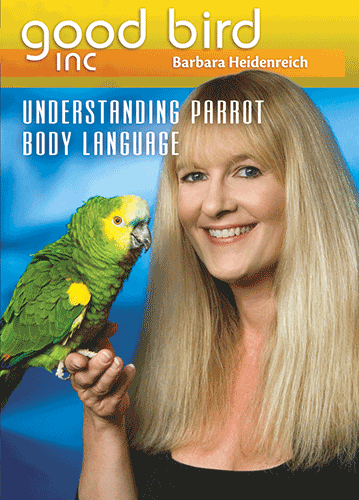 In this DVD you will learn how to analyze different body parts and what they are doing to determine if your parrot is comfortable, showing a fear response, exhibiting aggressive behavior and more.